Professor Wade’s research interests fall within the broad area of differential geometry. 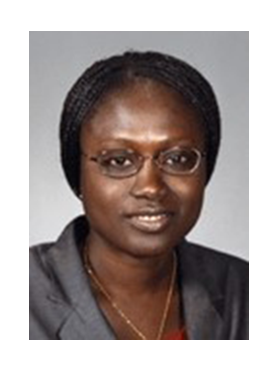 Aissa received her Ph.D. degree from the University Of Montpellier, France, and her Master’s degree in mathematics from the University Of Dakar, Senegal. She was appointed as President of AIMS-Senegal in 2016. Prior to that, Aissa served as the academic director of AIMS-Senegal. She is one of the leading proponents of the AIMS Women In Science (AIMWIS) initiative, designed to celebrate, promote peer learning, and develop a pipeline for more female scientists by reaching younger women in STEM. Generalized Kählerian Manifolds and Transformation of Generalized Contact Structures), Archivum Mathematicum (BRNO), Vol. 53 (2017) Pages 35- 48 (joint with Bouzir, Gherici and Belkhelfa). Generalized contact bundles, Comptes Rendus Mathematique, Vol. 354 (2016), Pages 313–317 (joint with Luca Vitagliano). Local structure of generalized contact manifolds, Differential Geometry and its Applications, Vol. 30 (2012), Pages 124–135. On the local structure of Dirac manifolds, Compositio Mathematica, Vol. 144 (2008), Pages 774 –786. Quelle éducation dans une société numérisée ?